If you are searching for a new home, then your search stops here. You will fall in love with the beautiful new construction here at the community of Peyton’s Ridge. From the moment you enter this neighborhood, you are greeted with beautiful water features and a lovely country setting. 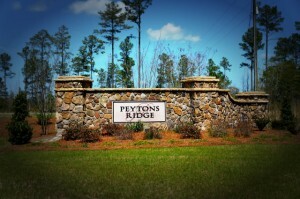 Peyton’s Ridge is located off of Hwy 24 just minutes from Camp Lejeune and Swansboro NC. Living at Peyton’s Ridge allows you to have all that you could need within minutes. Peyton’s Ridge is close to Historic Swansboro which offers unique dining experiences and shopping. If dining and shopping is not for your family, no problem, it is also located near several beaches and a state park. Living at Peyton’s Ridge means you will be a short drive from Hammocks Beach State Park where you can go camping, fishing, or relax on the beach. Peyton’s Ridge offers gorgeous homes with 3 to 4 bedrooms, 2 plus baths, 2-car garage and square footage ranging from 1500 square feet all the way to over 3000, which means there is plenty of room for the growing family. Not only are the homes spacious, but the lots are as well. These homes have lots anywhere from just under a half acre to over an acre making it ideal for summer BBQ’s and outdoor family fun. 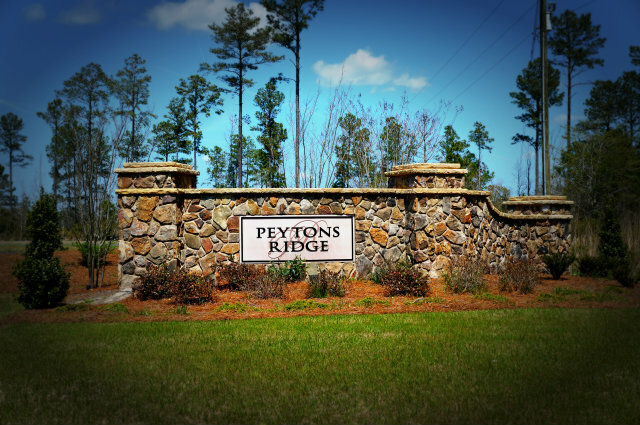 Peyton’s Ridge is also outside the city limits so you don’t have to worry about city taxes. There are so many reasons why you should call Peyton’s Ridge your home. Peyton’s Ridge is a wonderful neighborhood and a beautiful place to raise your family. With prices starting in the 180’s you can’t miss this opportunity to have everything you could need in a home for you and your family. Click on the link below for more information and see why Peytons Ridge is where your new home is waiting for you.